Experience pure luxury on the endless beaches of the island of Bali, or win a share of a big cash prize pool or bonus spins - a new Bgo giveaway is live, and by playing your favourite casino games you could take down one of 240 incredible prizes this week! With a good dose of dedication and luck you could one of the winners in Bgo’s latest casino promotion. The premier UK casino is famous for having some of the best and biggest giveaways on the internet, and this time they will send one lucky player to the paradise island of Bali, where 10 nights in a luxurious hotel awaits. This isn’t the first time Bgo has hosted a giveaway exactly like this, but if you’re new to the concept you can learn how to win by reading on. You will get 1 point on the leaderboard for every £20 you wager on any of the fantastic casino games Bgo has to offer until midnight on Wednesday the 25th of July. You decide what you wish to play, which means that you can choose from the hundreds of slots or sit down at a table game to earn points. The only type of game that is excluded is bingo, and make sure to hit the opt in button on the promotion page at Bgo before you start playing, as you won’t collect points before doing so. 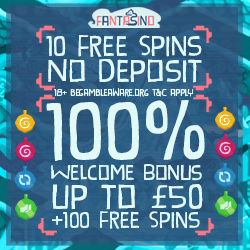 Once the competition has ended, the top 90 players on the leaderboard will get their hands of a prize ranging from bonus spins to up to £1,000 in cash, and the top 75 players of these 90 will get an exclusive entry in an invite-only slot tournament where the real big prizes are up for grabs. Each of the 75 tournament participants can play their tournament spins between 3rd and 5th of August, and it’s the results in this tournament that decide the final winners. Every player have the same chances of winning, and everyone will be guaranteed a sweet prize. Bonus spins, mega spins and cash prizes can be yours, and you can see the full prize list on the promotion page. If you don’t quite manage to reach one of the 75 top spots you still have a shot at the prize: Bgo will raffle out one entry to a random player who earned at least one point during the promotion period. That means that you can still win the prize package that includes a luxurious 10 nights in your own private villa in Bali, along with a travel companion! Click on the link to read everything you know about the giveaway at Bgo.